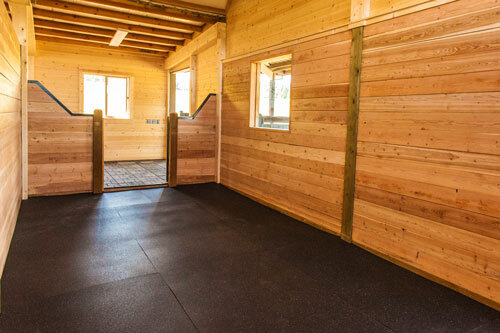 Since its inception in 1985, Ultimate RB has been the premier supplier and manufacturer of recycled rubber horse stall matting and rolled rubber for use in horse trailers. Ultimate RB builds quality matting products that are known and trusted to provide excellent traction, durability and comfort. With a broad range of standard sizes, expandable kits and unlimited custom sizing capability, we can provide a product to meet any need. All stall matting products are covered by our 15-Year Limited Warranty. 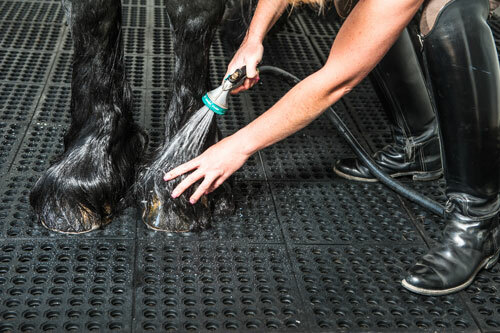 Equestrians that demand the very best have chosen stall mats for over 25 years. For this reason Ultimate RB is the largest manufacturer of stall matting in the United States. When you ask for stall mats you can be sure that the mats you take home will be the highest quality, environmentally friendly and made in the USA. We stand fully behind each mat we produce with a 15 year limited warranty. 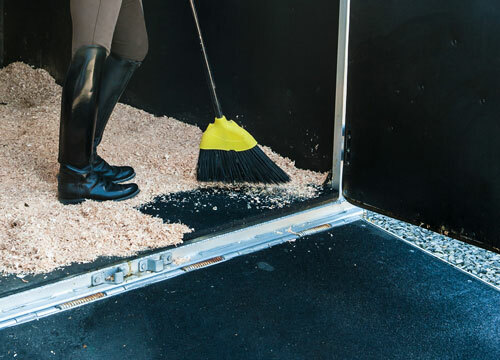 Trailer mats are used on trailer floors, walls and ramps to help ease the stress on animals in transit by providing maximum protection, support and traction. Trailer mats can also be custom cut to fit the nose section of a trailer or any other location per your request. Water and other fluids flow freely under and through Easy Step mats multitude of ¾” honeycombed shaped holes. Allowing fluids to drain properly promotes sanitation in the wash rack and other areas. Every Easy Step mat also features 256 resilient nubs per square foot on the underside. With this degree of anti-fatigue engineering, anyone can immediately feel the benefits of standing on these mats.